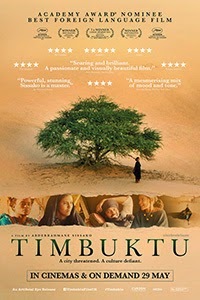 October's offering from Worthing Film Club is the celebrated 2014 French / Mauritanian film 'Timbuktu' that was nominated for an Academy Award for Best Foreign Film at the 2015 Oscars. Price is £7 for non members / Free for members. Membership costs £35 / year for 12 films plus free use of our DVD library.